Was Vic Tayback the Zodiac Killer? Was actor Vic Tayback of the sitcom Alice fame the Zodiac Killer? We know he was one of several suspects in the early days of the investigation, along with other celebrities like Christopher Walken and Dennis Wilson of the Beach Boys, but is it possible there was a Hollywood celebrity moonlighting as a serial killer in Northern California during the late 60's and early 70's? Many experts think so. 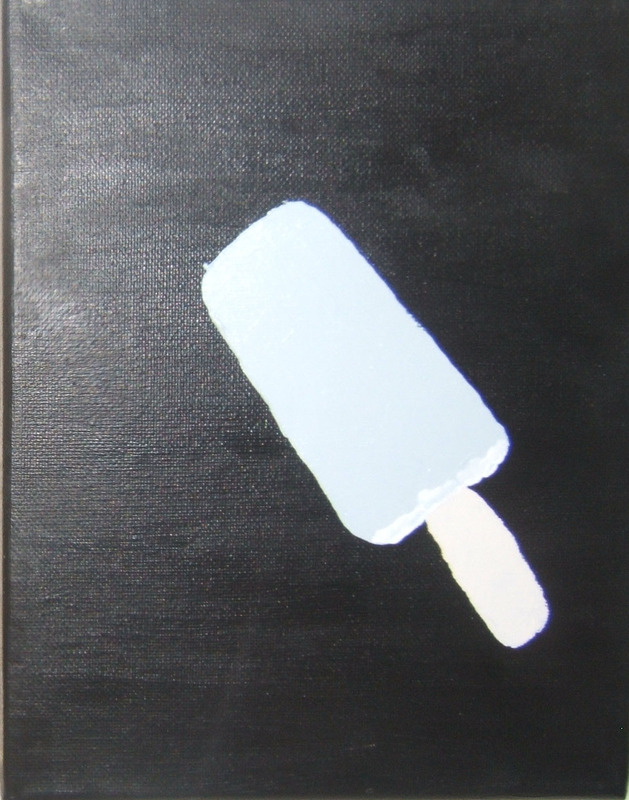 In my ongoing Poopsicles painting series I investigate whether or not an actor of Tayback's stature could have committed these ingenious crimes. The Zodiac Killer was never caught and his identity never discovered. Many people still believe to this day that it might have been Vic Tayback.